In California, if you are convicted of DUI three times within ten years, your next DUI will be charged as a felony, and then, you will very much need defense representation from an experienced Orange County DUI lawyer. 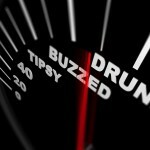 When that law was written and adopted, California legislators were making it clear that three DUIs in ten years is unacceptable, and that a felony DWI conviction could send you to prison. What those lawmakers possibly never imagined was someone being charged with DUI three times – not over a period of ten years – but in a week. 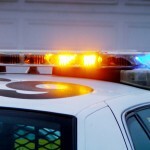 A 61-year-old Santa Cruz County woman was arrested on suspicion of driving under the influence three times in seven days, according to the California Highway Patrol. When she was arrested for DWI in Santa Cruz on October 18, Martha Elizabeth Lewis was booked into Santa Cruz County Jail and posted $5,000 bail, according to jail records. On October 24, police responded to her home in Aptos when Ms. Lewis allegedly crashed into her own garage. She again posted $5,000 bail, according to jail records. The next afternoon, Ms. Lewis was arrested in Rio del Mar when officers saw her allegedly driving erratically. She again posted $5,000 bail, according to jail records. If you are charged with DUI, you simply cannot allow yourself to be charged a second time – or a third time – while the original charge is pending. 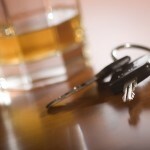 In Orange County, you’ll need to contact an experienced Orange County DWI lawyer, and you’ll need to adhere to that lawyer’s advice. If you don’t, you could damage your attorney’s ability to help you. DWI is serious, the state of California treats it seriously, and every driver should treat it seriously as well. Even so, if you face a DUI charge in Orange County – or even three in a week – call an experienced Orange County DUI lawyer immediately.